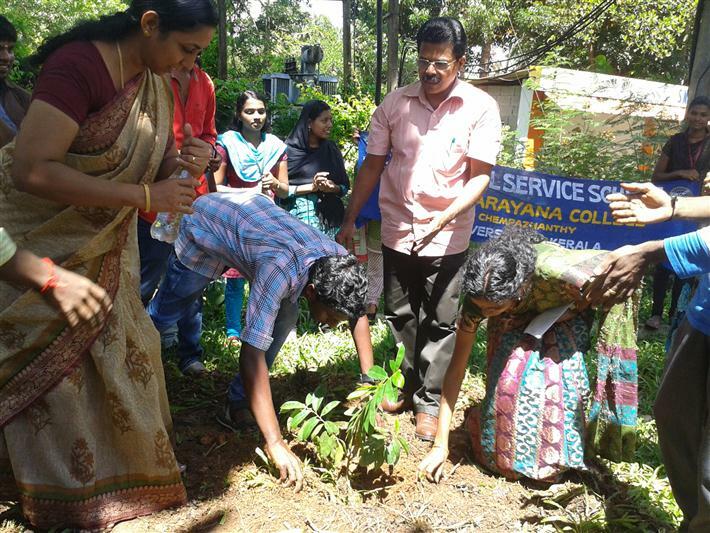 The NSS of our college works with the objective of “development of the personality of students through community service”. 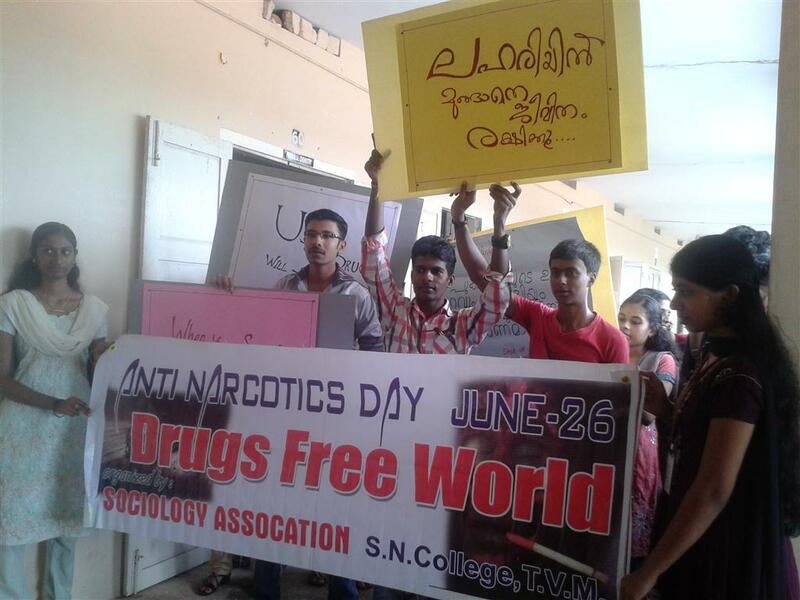 NSS is the right platform where the youth get to involve with real-life social activities, and thereby become responsible citizen of India. The Motto of NSS ‘Not me, but you’ reflects the essence of democratic living and upholds the need for selfless service and appreciation of other person’s point of view and to show consideration for fellow human beings. 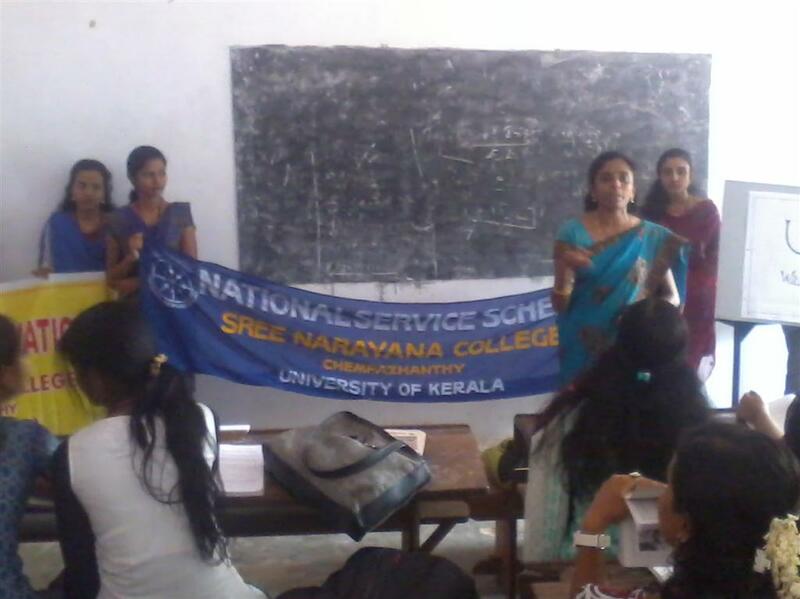 The aim of NSS unit of our college is to demonstrate this motto in all its activities. 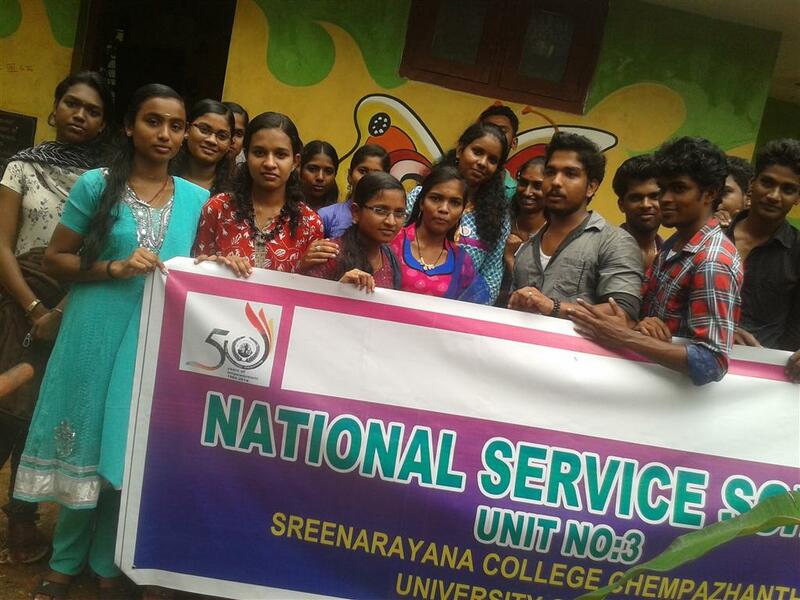 The college has two NSS units with more than 100 volunteers. 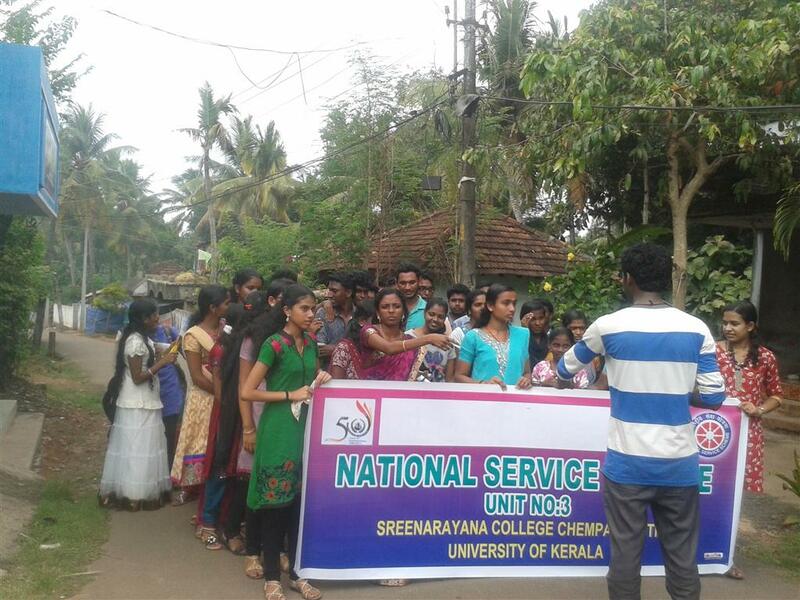 On the basis of the activities carried out by our volunteers, the NSS unit of our college was selected as the Best NSS Unit in university level. 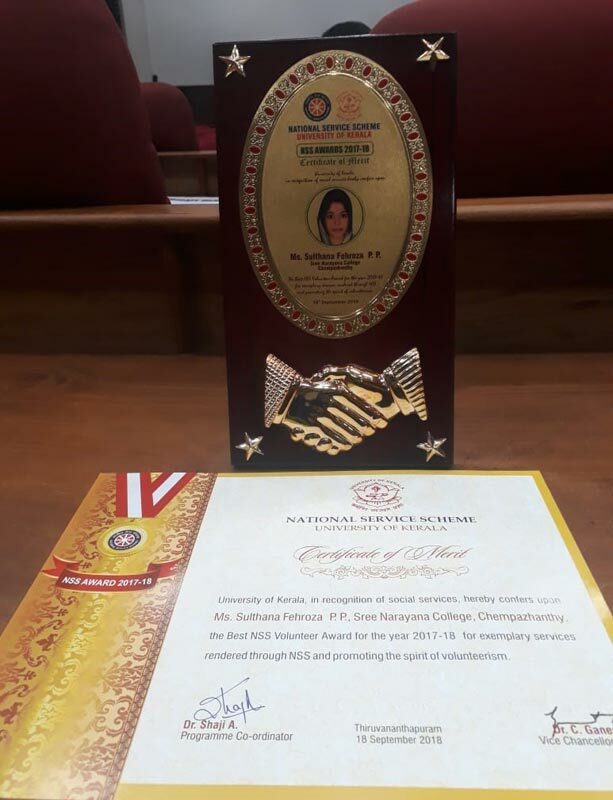 Best NSS Program Officer Award in the university level was secured by our Program Officer, Smt Aiswarya A.S.
An innovative initiative of NSS unit of our college during 2015-16 was the introduction of Organic Farming in the college campus. 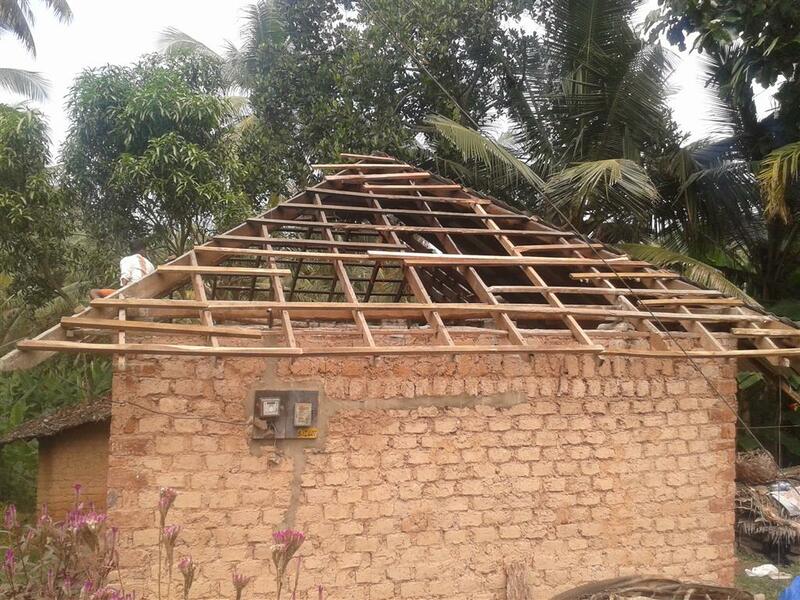 Two hecters of land was ear-marked for the project. 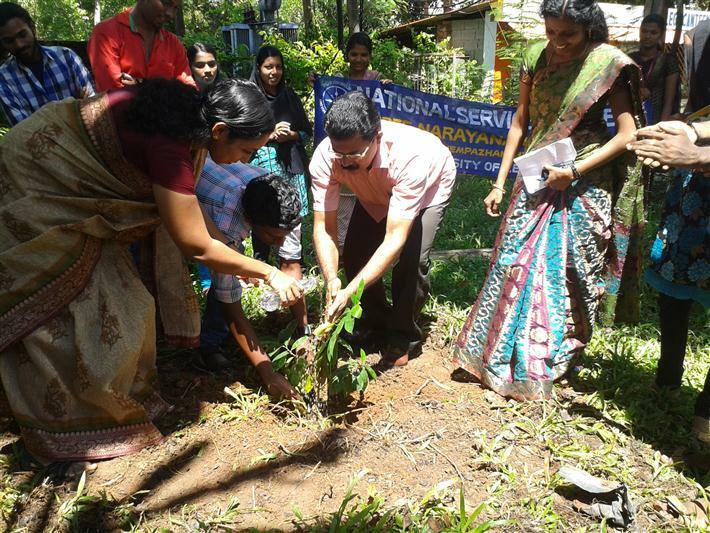 All volunteers of NSS unit actively participated in preparing the land, seeding & watering the sprouts as well as reaping the harvest. 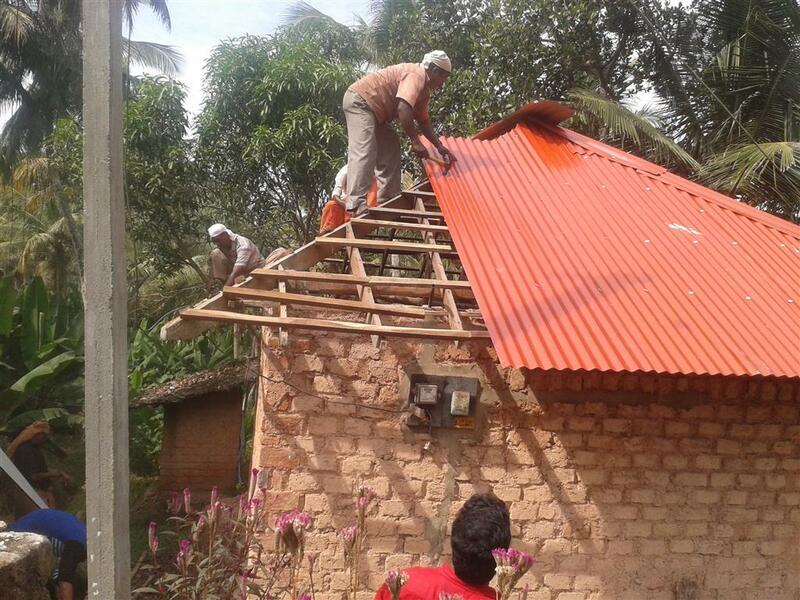 This project was carried out with the help and support of agricultural officers of SreekariamKrishiBhavan. Our vegetation bagged the first place in the district for Institutional Organic Farming. 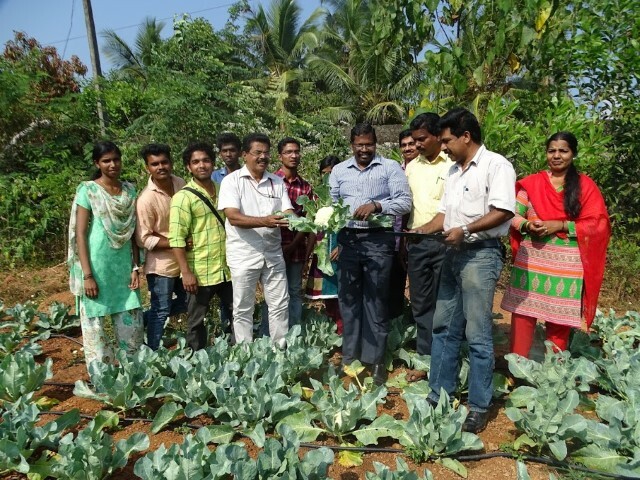 Thirteen varieties of crops were cultivated in the project. Sujith S.J Participated in National Camp held at Manali from 16-10-2015 to 8-10-2015. Rajesh Kumar.V participated in Mega Camp from 19-01-2015 to 31-01-2015. 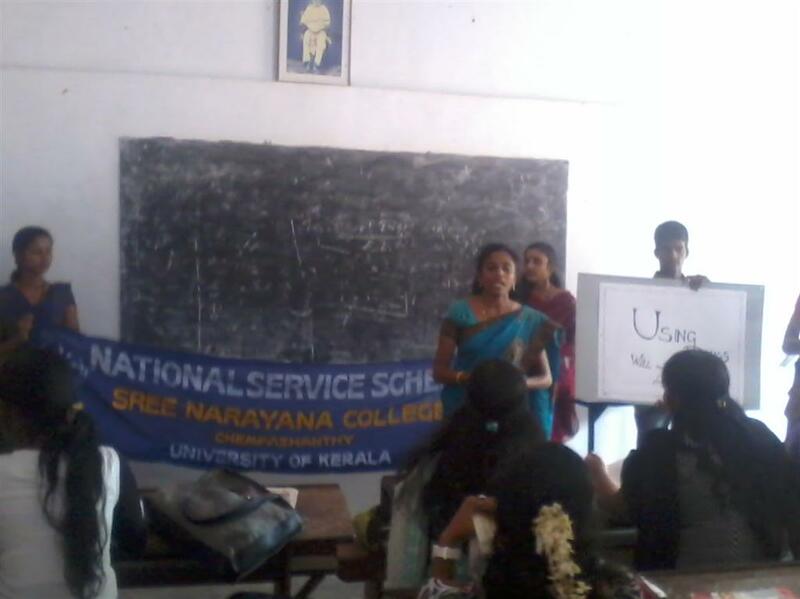 Participated in the Leadership Training Camp at University Students Centre organised by NSS Cell, University of Kerala. Volunteers participated in the Pre- Republic Day Parade. Handover of Benevolent Fund [Karunya Nidhi]- Our NSS volunteers took the initiative of helping their friend Mr. Sreeju Gopal of III DC Economics, suffering from kidney failure. An amount of Rs 4 Lakh was collected from staff and students for meeting the expenses of his Kidney transplant surgery. This amount was handed over to his father by Mr.Thushar Vellappally, Assistant Secretary SN Trusts in a grand function on 31.7.2014. 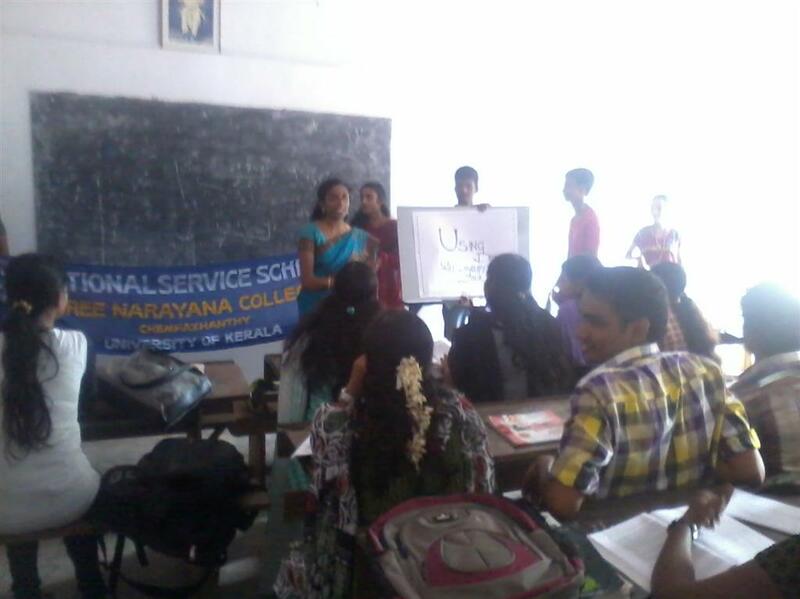 Kashmir Flood relief fund- NSS unit collected Rs. 8001/- as Kashmir Flood Relief Fund from the teachers, students and non-teaching staff of the college. 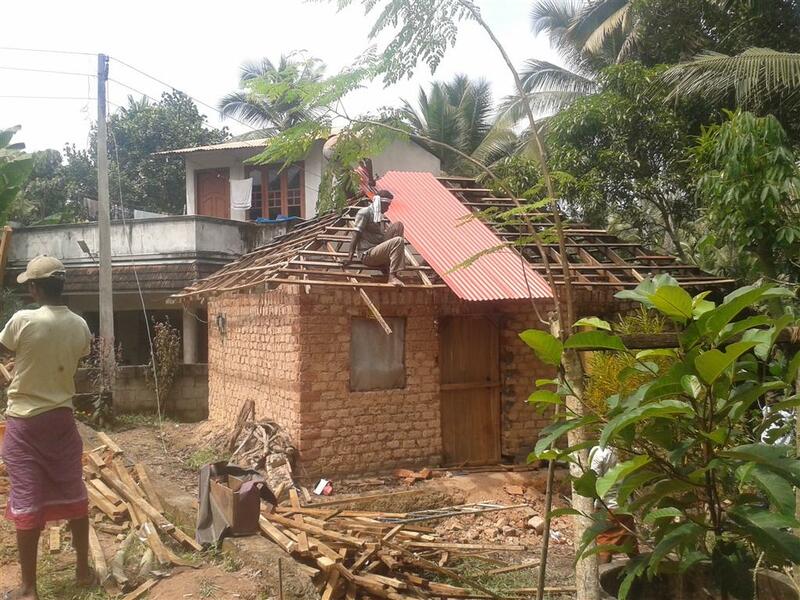 Renovation of house project- As part of its social service activities, the NSS unit decided to renovate the dilapidated house of an old poor woman Smt Sarasamma living near the college. 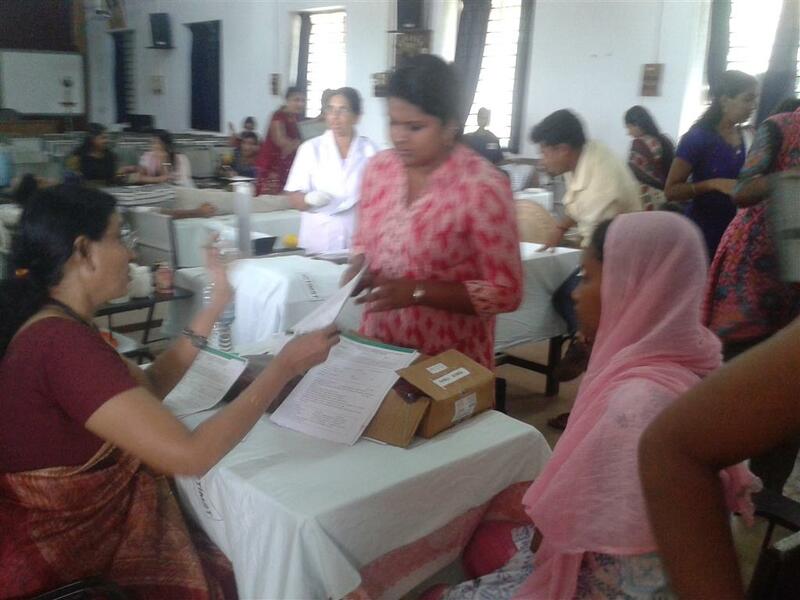 Students and teachers donated voluntarily an amount of Rs One lakh towards its expense. The key of the new house was handed over by Sri Vakkom Purushothaman, Former Governer of Mizoram on Founder’s Day (7.11.2014). Snehanidhi: On Founder's day, NSS unit handed over Rs 25000/- to the parents of Jeevan Deepak, a teenage student who is suffering from heart disease. 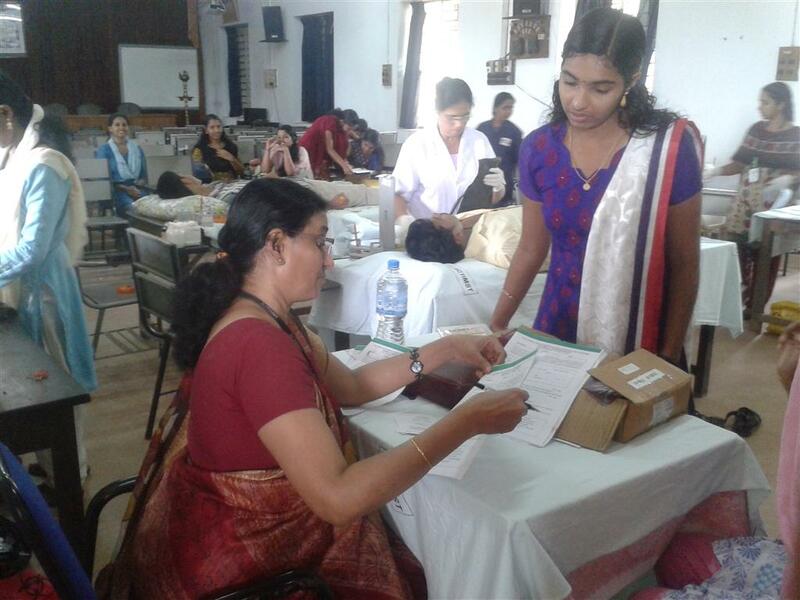 Pusthaka Thottil program- This was a book collection programme in which NSS volunteers collected more than 1300 books from teachers and students of the college. 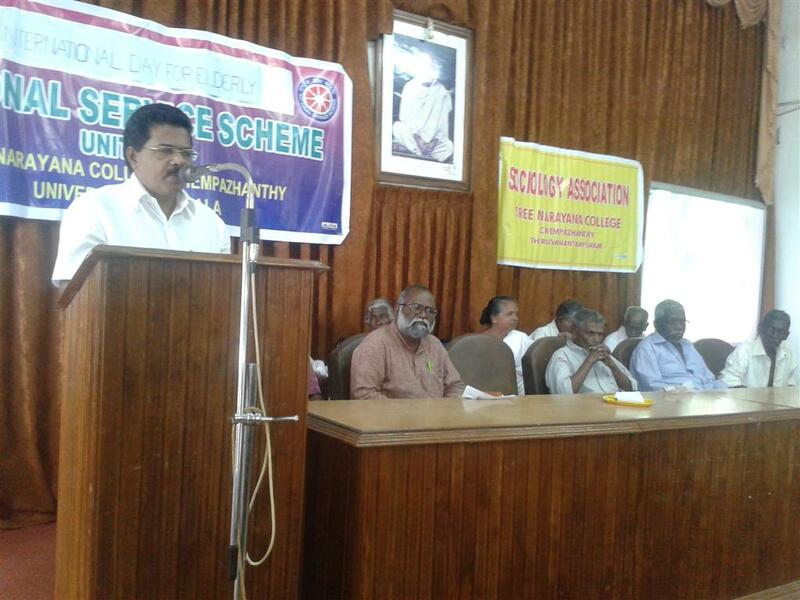 Dr.S Venumohan NSS Coordinator, University of Kerala inaugurated the function on 29.9.2014. The books were handed over to Smt. 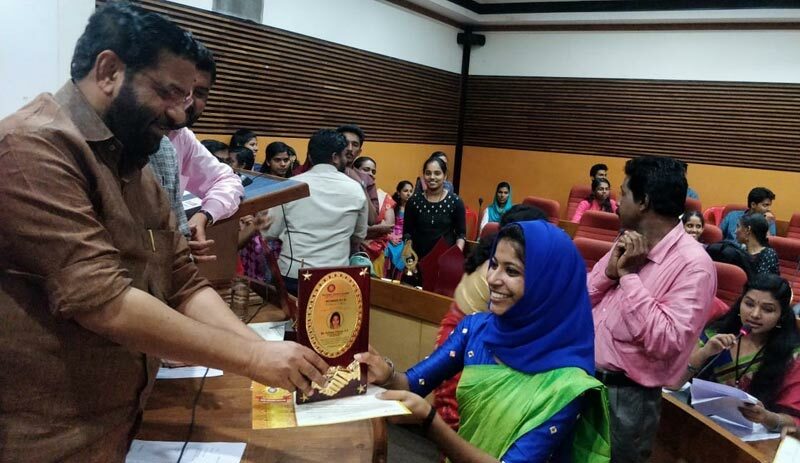 Sheela.K.S (Education & Sports Standing Committee Chairperson, Thiruvananthapuram Corporation) to be donated to the nearby adopted village. 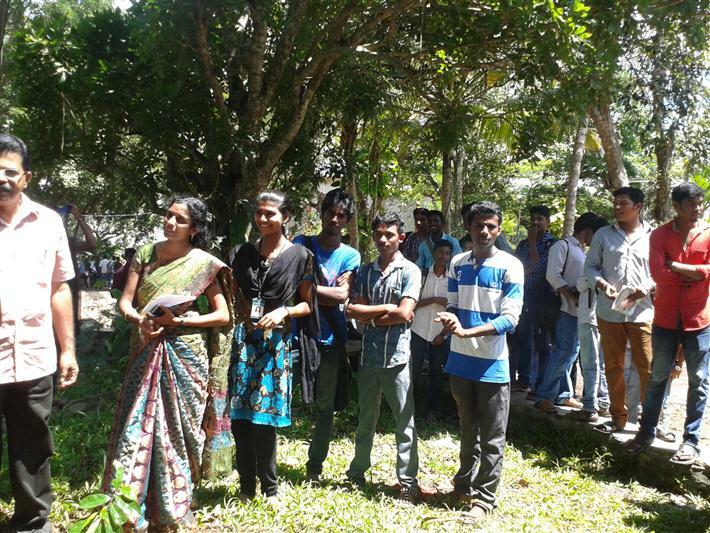 Thulika Award: A Handwritten-Magazine competition was conducted by the NSS unit to nurture the literary talents of students. Six departments of the college participated in this competition by releasing the following hand written magazines. 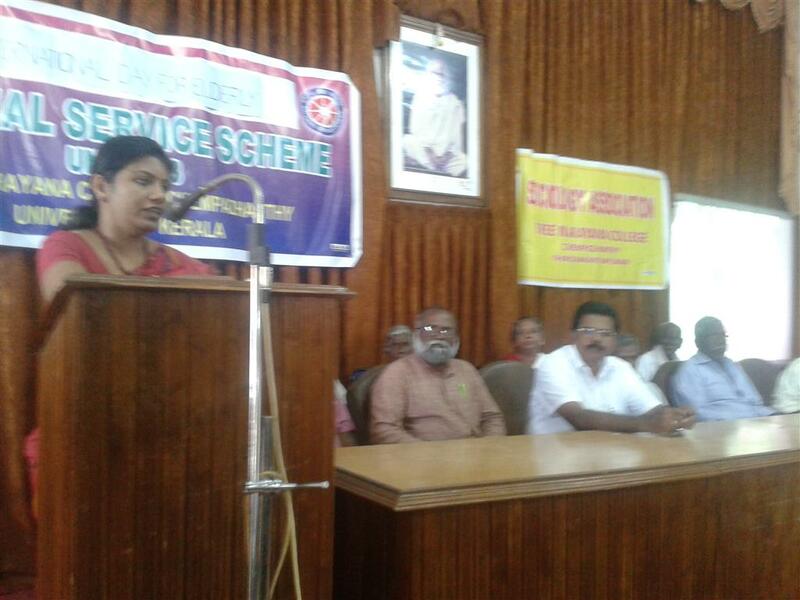 Prof. Asha G Vakkom presented the award to winners. Samuel Chellaya (Assistant Programme Officer, Govt. of India) delivered an introductory speech during this function. Run Kerala Run- About 100 NSS volunteers and members of the Physical Education Department organized Run Kerala Run, a mass run from college campus to Sreekariam, to show our support and encouragement for the 35th National Games at Thiruvananthapuram. 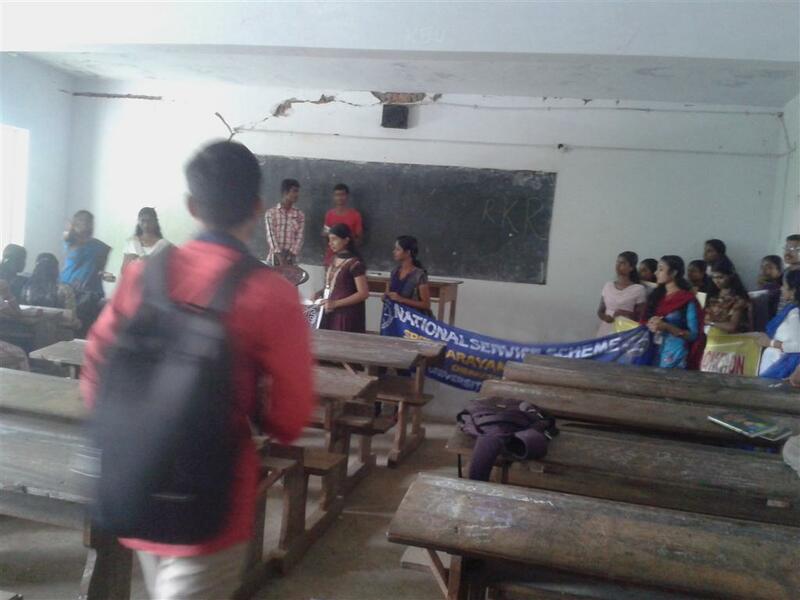 As part of the ‘Suchitwa Mission Keralam’ program of Kerala State Suchitwa Mission for the National Games, our NSS unit along with the Chempazhanthy Gurukulam Residents association volunteered to clean the school premises of SN HSS. 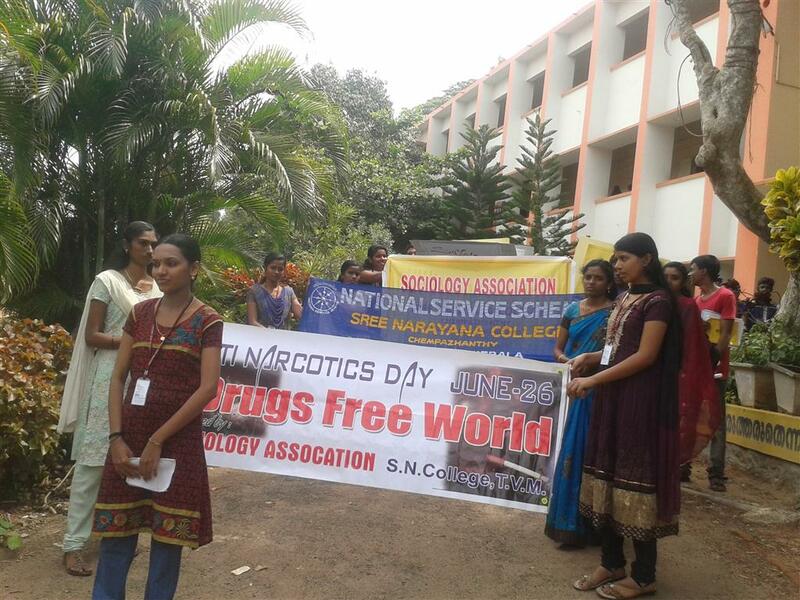 NSS Camp - The Annual Seven day Camp was inaugurated by Dr. J Prabhash (Head, Dept. 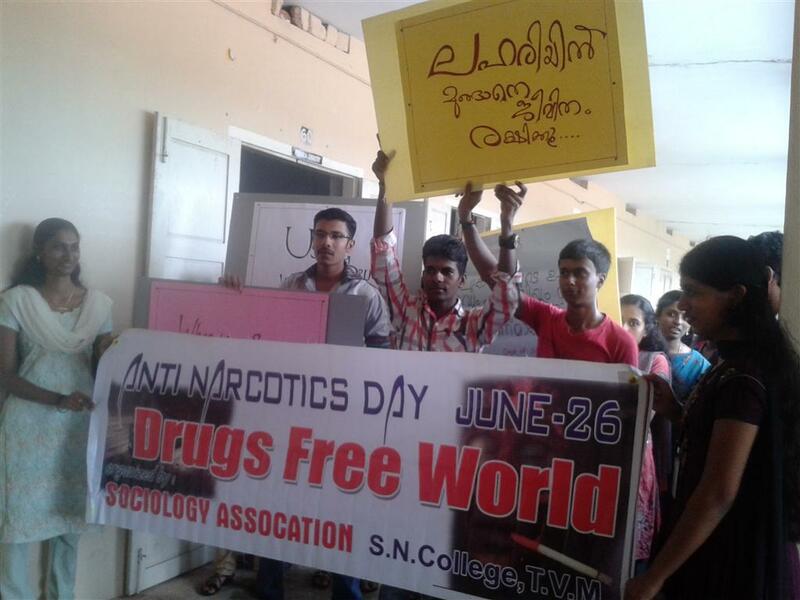 of Political Science, University of Kerala). The Ward Councillors, Residents associations and other dignitaries participated in the function. 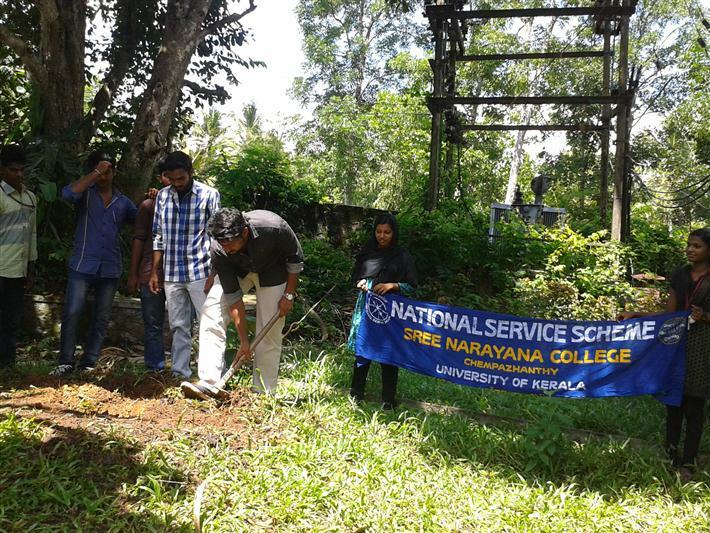 The NSS unit participated in the cleaning of the Palayam Campus of University of Kerala. During the camp volunteers studied to make Paper Bags, Sandal Sticks etc. 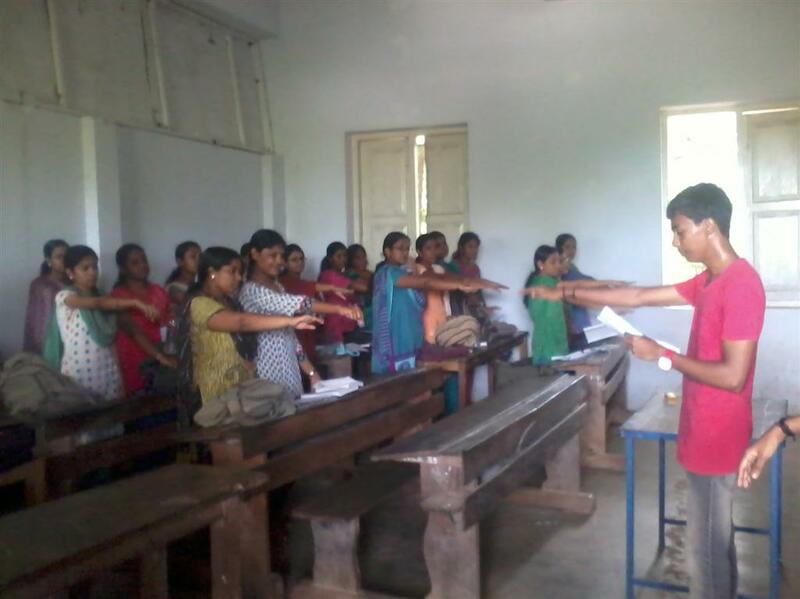 The volunteers participated in an Orientation class by Amir Shah R S, (Programme Officer, Suchitwa Mission Govt. 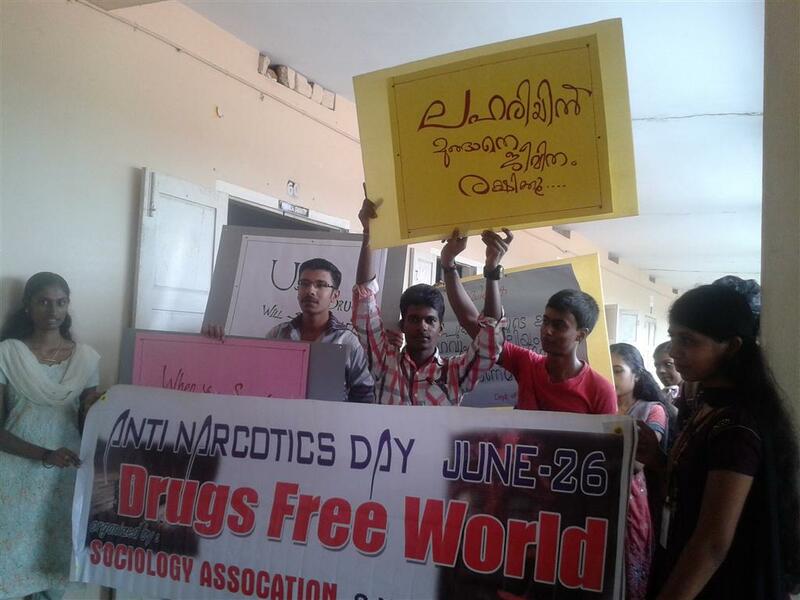 of Kerala) on Environmental Degradation. 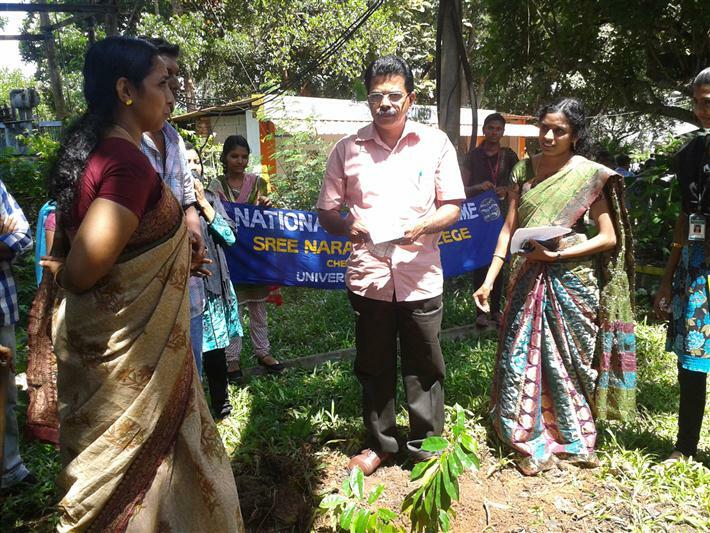 Nakshatravanam program- The NSS unit along with the Nature club planted 27 saplings depicting 27 celestial stars, in the campus on 31.07.2014. 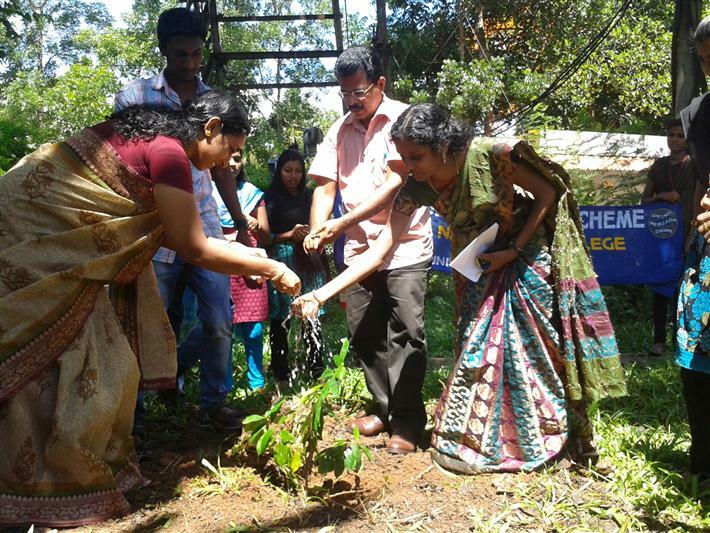 Neem Plantation Program- Planted 50 neem saplings in the campus on 19.06.2014 in collaboration with Neem Green Kerala Charitable Organization. 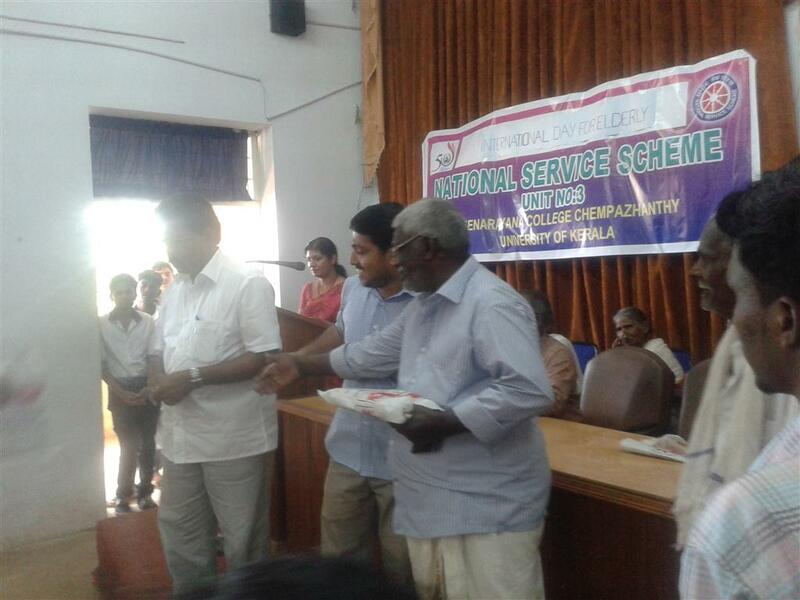 International Day for the Elderly- The NSS along with the Sociology department felicitated 10 elderly people in the nearby colony by providing clothes. A Safe Drive campaign supported by Bajaj India was organized for the girl students. 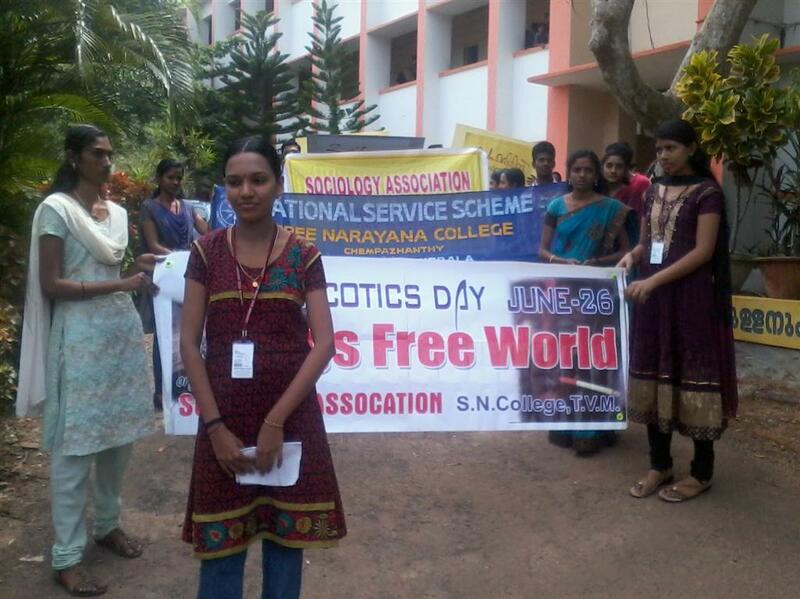 National games- Our members of the NSS served as volunteers during the closing ceremony of 35th National Games at Thiruvananthapuram. 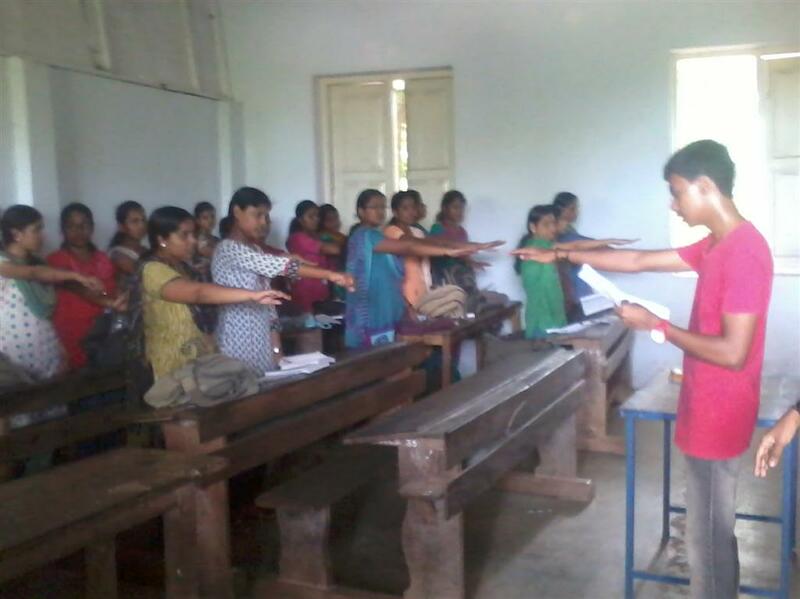 Other activities carried out by NSS include a personality development class for newly inducted members by Sri G.V Hari, Lecturer, NSS HSS, Pandalam. 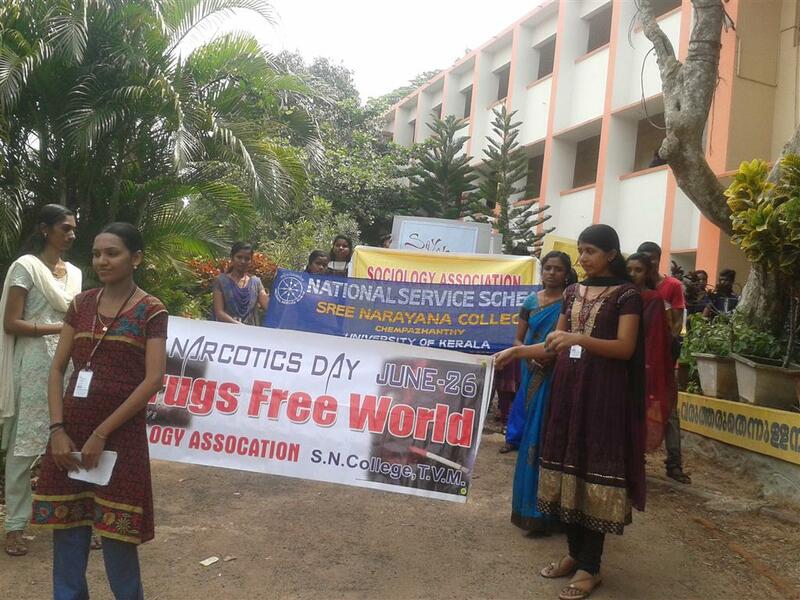 NSS commemorated Environment day, Anti-narcotic day, Hiroshima day, Teachers day, World Aids day and Unity day in appropriate manner. Assistant Professor, Department of Political Science. Congrats Sulthana Firoza for winning NSS Best Volunteer Award.